Harry S. Truman, 1884-1972. 33rd President of the United States.  Typed Letter Signed, Harry S. Truman, one page, 7¼" x 10½”, on personal stationery, January 4, 1963. Truman writes to Olive Truman, the widow of his cousin, General Ralph E. Truman, regarding a contribution to the Truman Library. Presidential letters to family members are uncommon. We obtained this one directly from a member of the Truman family. It is in near mint condition, with only two normal mailing folds, neither of which affects the signature, and staple holes in the upper left corner. Truman has boldly signed in black fountain pen. We custom framed this letter. 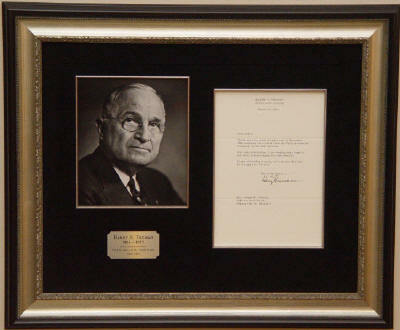 It is richly double matted in black suede, with an inlaid silver fillet, along with a post-presidential portrait photograph of Truman by Leo Stern of Kansas City and an engraved silvertone plate. It is framed in an ornate silver and black wood frame.